When you wash your hair or when you want take a bath or shower, you want the water to be at the correct temperature. It can be very irritating and frustrating when the water is too cold or if it is overly hot. It is best to have your water heater checked by professionals like us right away when you notice any problems with the temperature of the water in your home. We have been in business for years and offer reliable Water Heater Repair in San Tan Valley, AZ that you can trust and that are unsurpassed. We are well experienced and know what we are doing and will get the job done right. We have a top-rate and well trained technicians that will arrive at your door ready to work and will fix the problem with your water heater. It is not a good idea to ignore problems with your water heater like water temperature problems. If you need Water Heater Repair in San Tan Valley, AZ and the problem is not addressed right away, it could lead to major plumbing problems that could result in an expensive water heater replacement. If you want top quality services from an dependable company, we strongly advise you to contact us. 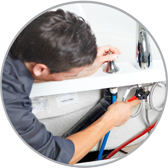 It is a fact that over time your water heaters can break down without any wanting and will need to be repaired. If your water heater is more than ten years old and if you notice that your water temperature is inconsistent, it is wise to give us a call. Our expert and certified crew will fix the problem and can be trusted to do an exceptional job. We offer the best and most efficient Water Heater Repair in San Tan Valley, AZ, so get in touch with us today to schedule an appointment.